Pure Industrial Real Estate Trust (AAR.UN-T) has purchased five properties and sold three other sites in deals worth more than $160 million. “Today’s announcements reflect significant further progress on our acquisition and capital recycling strategies,” PIRET president/CEO Kevan Gorrie said in a release. “We have now completed over $240 million in new core investments in our target markets. At the same time, we have sold almost $100 million of older, non-core assets on a substantially accretive basis. * $33.9 million in dispositions of three assets in British Columbia and Alberta. The largest transaction is purchase of the Dalport Trade Center, a 758,922-square-foot, modern class-A distribution centre in suburban Wilmer. PIRET says the area is one of its target markets. The facility was built in 2008 and features a 32-foot clear height. It’s located along the I-45 South market, and is 100 per cent leased to three distribution tenants with a weighted average lease term of 4.4 years. The purchase represents a going-in cap rate of 5.8 per cent, and a price per square foot of $73. The acquisitions increases Pure Industrial’s presence in the Texas market, where it already owns assets in Houston, San Antonio and Austin. Pure Industrial says this purchase uses proceeds from its bought deal equity financing which closed in April, and is immediately accretive to the trust’s adjusted funds from operations per unit (AFFOPU). This 268,000-square-foot building is a recently constructed, class-A facility with direct rail access and a large storage yard. The going-in capitalization rate is 5.9 per cent and the price per square foot $122. The cap rate includes rental payments from a 49-year ground lease with the Vancouver Port Authority. It’s 100% occupied by an overseas forwarding company on a 20-year lease. As with the Dallas purchase, it’s financed with cash on hand and immediately accretive to the trust’s AFFOPU. It’s expected to close late in Q2 or early in Q3. Pure Industrial acquired the remaining 49 per cent interest in three North Carolina properties in which it had been part of a joint venture. The acquisition is financed through cash on hand and the assumption of the joint venture partner’s interest in an $18.9-million mortgage. Pure Industrial expects funds from operations to increase $1.3 million per annum from the deal. The sales involve two properties in Calgary and a third in Surrey, comprising a total of 271,800 square feet of gross leasable area. They had been acquired for a total of $22.7 million. 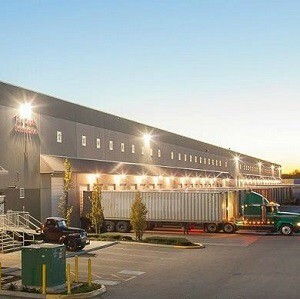 The largest of the three is located at 9255 194th Street in Surrey and includes 27,525 square feet. The 22-year-old facility sold for $27,525,000 at an implied cap rate of 4.3 per cent. The other two properties, at 1390 and 1401 17th Avenue SE., in Calgary, comprise 83,811 square feet of space and are 54 years old. They sold for $6.4 million at a cap rate of 6.2 per cent. Pure Industrial says all three properties were classified as assets held for sale since December 2016. The firm says it continues to hold six assets for sale with a book value of $34.9 million and mortgages outstanding of $8.3 million.